The Morgan Pond Trail is a good trail for cross country skiing. 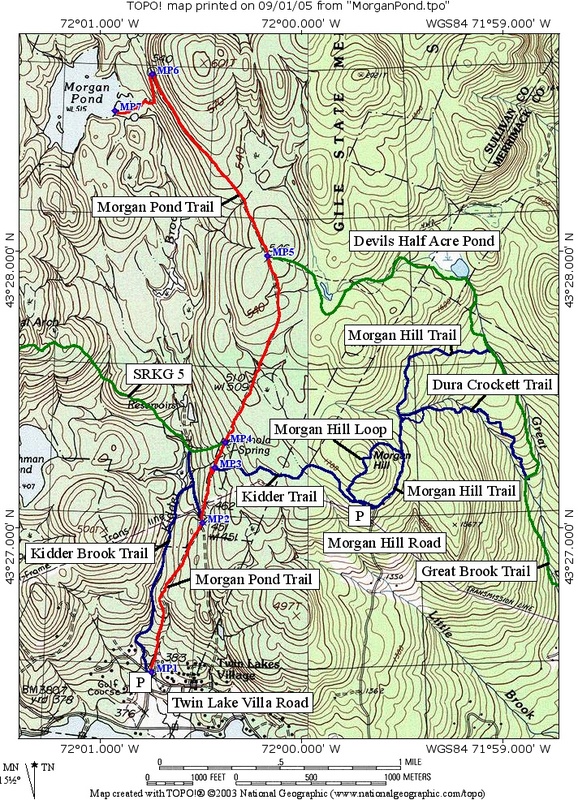 The Morgan Pond Trail (red on the map) leaves the Twin Lake Villa Road east of the parking area and Kidder Brook bridge (at waypoint MP1). 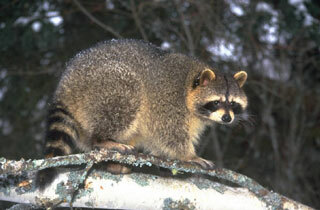 It ascends along Perley Road (gated) for 2.8 miles to a side road (MP6) which it descends to Morgan Pond dam (MP7). The trail provides access to a cart road which provides a loop with the Kidder Brook Trail (MP2), the Kidder Trail (MP3), and to the Greenway which uses the trail between locations MP4 and MP5 (SRKG Trail 5). The Morgan Pond Trail rises nearly 600 feet to the high point above Morgan Pond. The distances on the profile are measured from Twin Lake Villa Road.